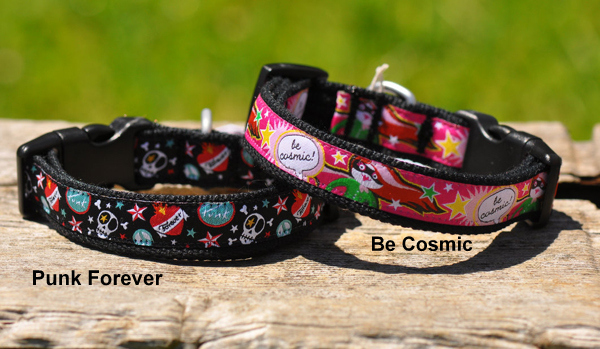 Cute and sassy, your furkids will rock in these ribbon collars. * Top quality metal and plastic hardware. * Our range is vegan friendly and cruelty-free! X-SMALL fits neck 15-25cm approx. Collar width 15mm. SMALL fits neck 20-30cm approx. Collar width 15mm. SM/MED fits neck 25-35cm approx. Collar width 20mm. MEDIUM fits neck 30-40cm approx. Collar width 20mm. we'll make one up for you!